UWM is moving Milwaukee and the region forward. Join with us as we leverage the assets of the region to develop a world-class, public-private research park that fosters innovation and spurs strong and enduring partnerships between academia and industry leading to new products, spin-off businesses, workforce development and jobs. 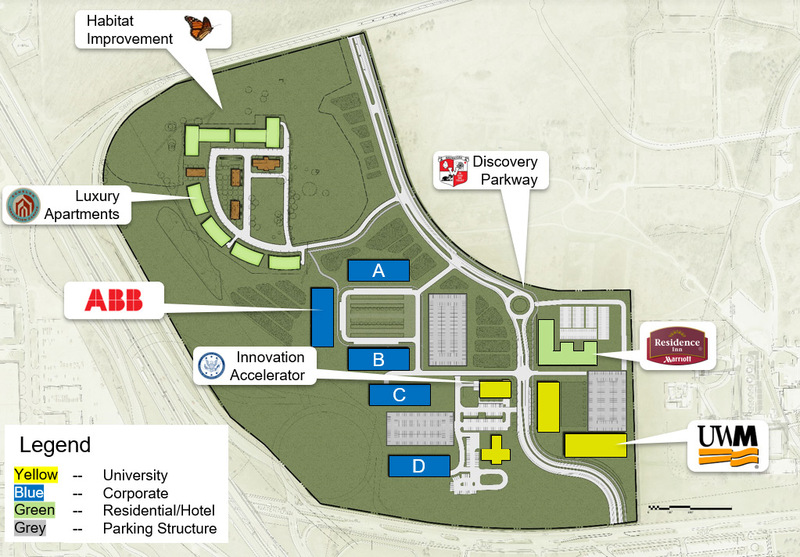 As a “third generation” research park, Innovation Campus not only offers technology transfer and business incubation services, but incorporates the academic and research enterprise of the university directly into the development of a private sector park. This powerful combination of industry, academia and nonprofit research organizations working in true partnership at the same location will both attract companies to the region and leverage the intellectual property from academic research to spin out new companies. When UWM began its campus Research Growth Initiative in 2006, it identified several areas of research expertise that offered opportunities to connect with similar industry strengths in the Milwaukee area. Those fields include biomedical engineering and devices, and advanced materials and manufacturing. Since then, UWM has added dozens of new faculty members in these areas to its College of Engineering and Applied Science. Plans for collaborative laboratories that would bring industry, academic and medical practice together near Wisconsin’s largest academic health cluster will both attract companies to the region and produce companies directly from the university. UWM is one of two public doctoral research universities in Wisconsin. More than 1,600 faculty and instructional staff engage in a wide range of research leading to discoveries that enhance the quality of life for the people of the State. UWM offers nearly 30,000 students a comprehensive liberal arts and professional education through its 180 degree programs. In addition to the University’s main 104-acre campus located on Milwaukee’s East Side, UWM properties in Greater Milwaukee include Innovation Campus in Wauwatosa, the Lake Michigan inner-harbor School of Freshwater Sciences and the Joseph J. Zilber School of Public Health downtown. UWM Innovation Park, LLC, is wholly owned and controlled by the UWM Real Estate Foundation, the primary developer of the property. The Real Estate Foundation partners with the public and private sectors to develop and hold real estate for the benefit of UWM. 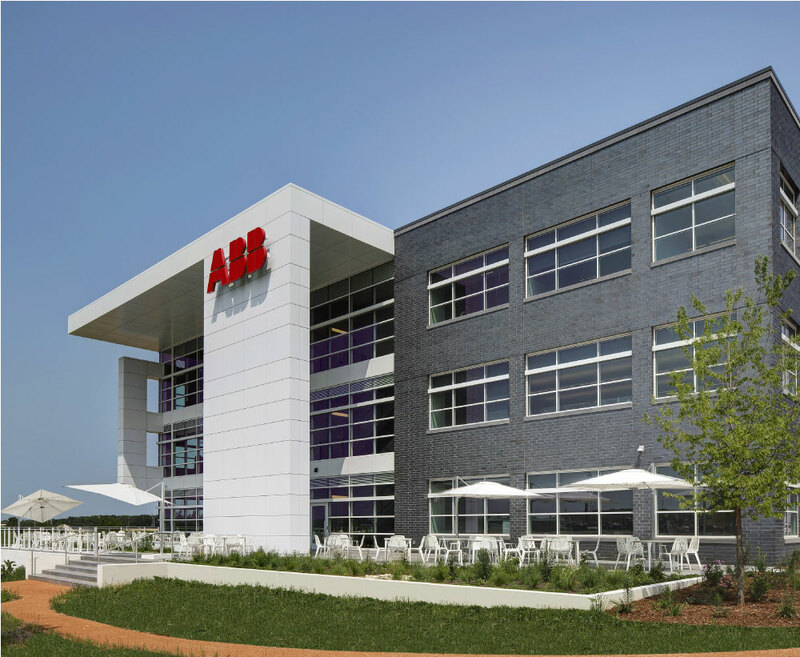 A significant portion of the Innovation Campus property is reserved for private-sector development, providing space for companies interested in partnering with UWM or other academic institutions or research-intensive industries. The Real Estate Foundation is actively seeking partners who could access the wide array of federal, state and private funding programs available for this type of development. 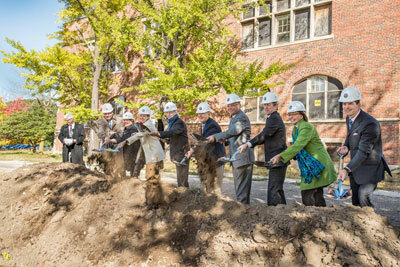 The UWM Real Estate Foundation would like to acknowledge the role of these governmental agencies that lent their support to the Innovation Campus project during its four-year establishment process. The City’s Common Council approved the creation of a tax-incremental financing district for the Innovation Campus. By creating the district, the city can borrow up to $12 million to invest in streets and utilities to serve the Innovation Campus property. 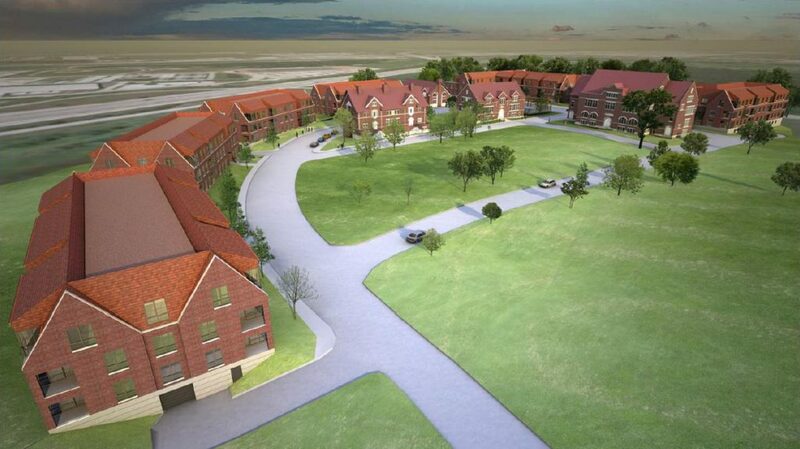 The debt will be paid off by future property taxes on developments on the campus. City officials also integrated the campus into the area’s future comprehensive plan. 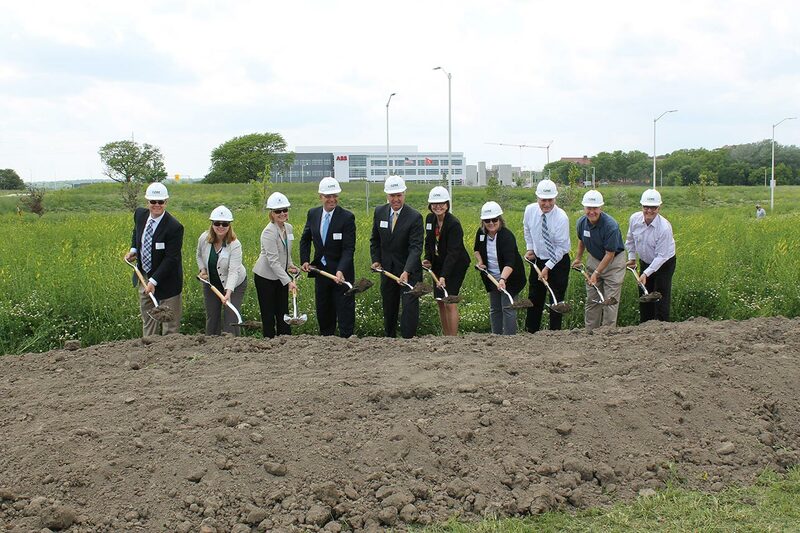 In September 2010, this federal agency announced a $5.4 million grant to the City of Wauwatosa and the UWM Real Estate Foundation to construct a 25,000 square-foot innovation accelerator building and make related site improvements for roads and utilities to serve the site. 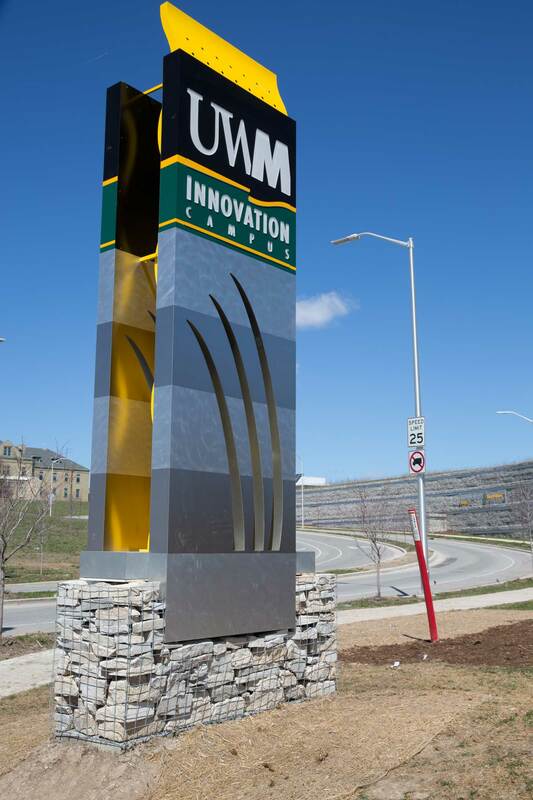 Milwaukee County has embraced the concept of the UWM Innovation Campus from the beginning. The executive and board went to great lengths to negotiate the sale of the property to the UWM Real Estate Foundation while ensuring that the public needs were fully vetted and all precautions were taken to protect the public good. U.S. Department of Commerce awards UWM a grant for construction of the UWM Innovation Accelerator, a business accelerator facility on the property. Wauwatosa Common Council approved the creation of a tax-incremental financing district (TIF) for Innovation Campus. 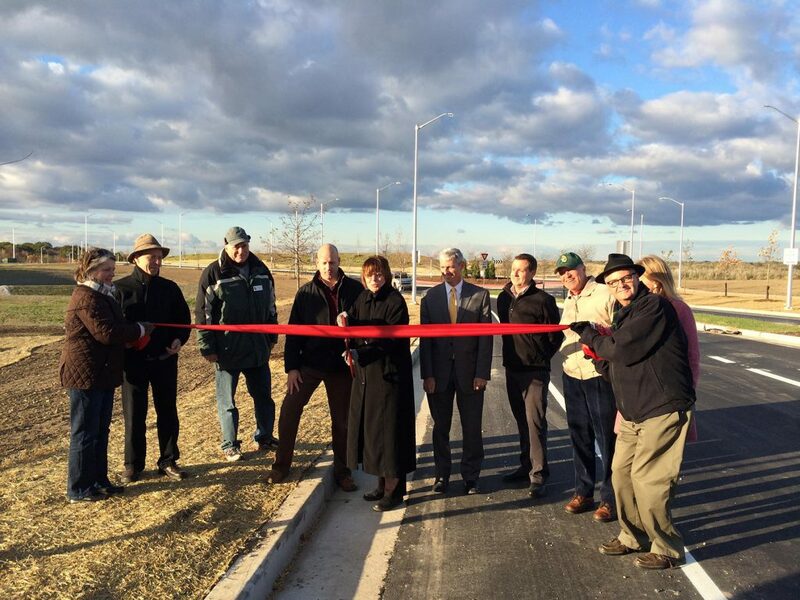 University of Wisconsin-Milwaukee Chancellor Michael Lovell, along with Wauwatosa Mayor Kathleen Ehley and Wauwatosa City Officials celebrate the opening of Discovery Parkway. From left: City of Wauwatosa Alderman Jeffrey Roznowski, Alderman John Dubinski, Alderwoman Kathleen Causier, Alderwoman Allison Byrne, Mandel Group President Barry Mandel, County Supervisor Jim Luigi Schmidt, Executive Director of Innovation Campus David Gilbert, Alderman Dennis McBride, Mayor Kathleen Ehley, Senior Development Manager of the Mandel Group Phil Aiello. 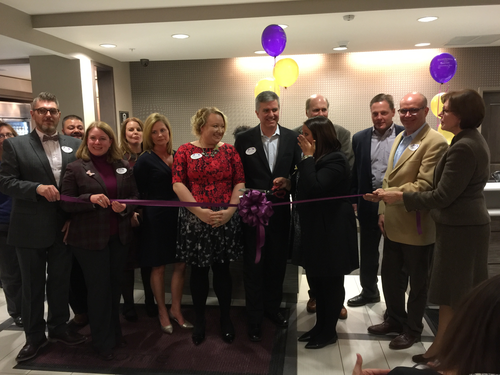 David Gilbert, Executive Director of the Innovation Campus, joins Ed Walsh of Hospitality Partners, Mayor Kathy Ehley and other dignitaries for the ribbon cutting ceremony for the Marriott Residence Inn on the Innovation Campus. High Tech. High Profile. Centrally-Located. The future of biomedical research is in translational research, which takes ideas from the lab to the patient bedside. At the same time, Southeastern Wisconsin’s manufacturing sector still employs significant numbers and is looking for ways to innovate and diversify. Innovation Campus takes advantage of both these areas of strength by offering a place for partnership and proximity to encourage entrepreneurship, while also providing ways for technology businesses to expand and remain competitive. The UWM Real Estate Foundation is actively seeking research intensive technology companies that would benefit from collaborations with the University of Wisconsin – Milwaukee or any of the institutions located in the Regional Medical Center. 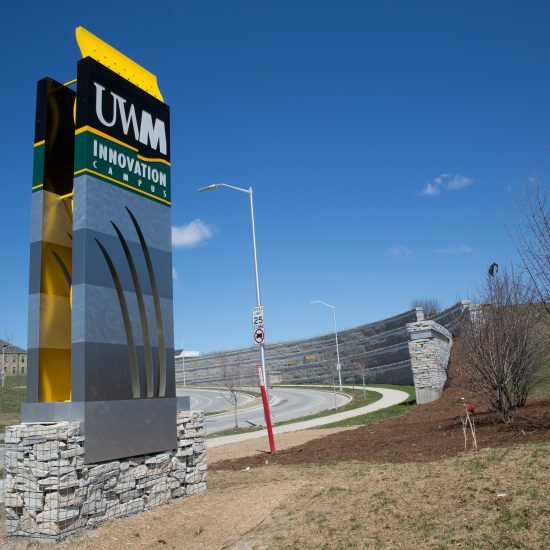 The UWM Innovation Campus is the most heavily reported research park development in regional media and offers partners a high-tech, high-profile location to grow their businesses. Research expertise at UWM are closely compatible with the regional economic opportunities — health care, biomedical engineering, advanced manufacturing and energy. Behavior with potential connections with proteomics. When fully developed, Innovation Campus will likely accommodate 14 new private or academic buildings, and at least two parking structures. Full private investment by corporate partners is estimated to be $300 million with the creation of 800 jobs. This concentration of engineering talent ensures a new generation of leadership for economic health in Southeastern Wisconsin and the rest of the state. We’re actively seeking research companies to partner with. Want to learn more about partnership opportunities currently available? Let us know and we’ll follow up with you.